Before you read on! Just let me make it clear what the law says about your rights. 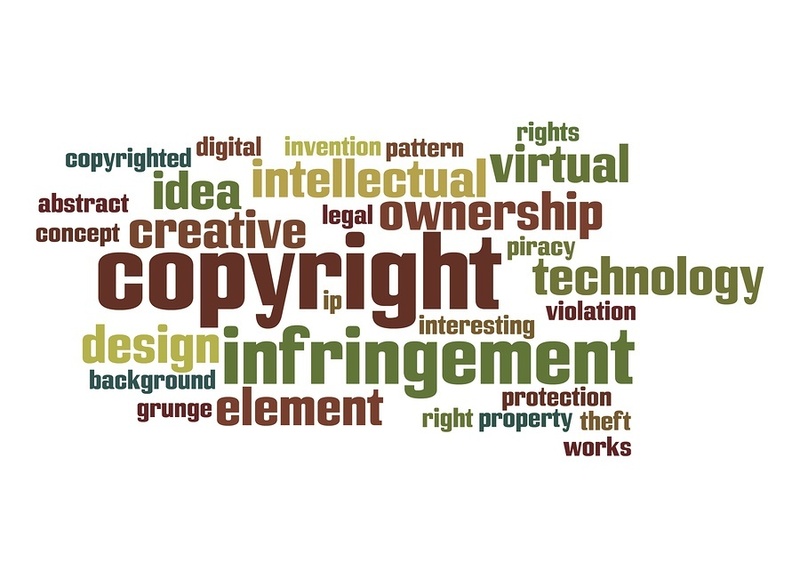 (Copyright exists the moment a piece of music; a song or lyric is committed to any form of tangible media) However, that will not stop other people or companies from stealing or using part of your creative works. That’s when you will want or need the proof it’s your work. In the world of entertainment, it’s quite worry-free to get involved with others on creative projects, after all, the moment a piece of music; a song or lyric is committed to any form of tangible media copyright exists. However, it’s just as easy for you not to get credit for work you have contributed to a project, or have someone come along and take what you created and claim for themselves. At some time in the future, you could find yourself regretting the day you simply allowed your intellectual copyrights to slip by the wayside. Maybe, it’s time you started doing something about holding on to your copyrights by registering your work with a third party to back you up or at the very least keep detailed dated draft + completed hard copies yourself. 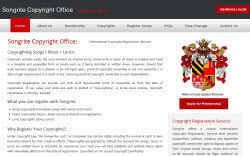 What does Songrite Copyright Office do? They offer a secure and ultra-reliable copyright registration service for songwriters and composers wishing to protect the copyrights of their works. copyright owners of creative works who live anywhere in the world can securely deposit copies of their work as legal evidence to authenticate their Claim of copyright ownership. Each registered piece of work or composition is entered onto their Copyright Registration Database and the author/s /copyright owners are then issued with a unique Songrite Copyright Certificate © which includes all the registered details of their work. They can help prove ownership of a song, piece of music or song lyrics should anyone else try to claim ownership of your creative works long after you have lost your original draft copies, media or completed written records of your work. However, they do not police copyright theft, so don’t expect any correspondence about possible theft or misuse of your work. In the eyes of copyright law, “Copyright exists the moment a piece of music, a song or lyric is committed to any form of tangible media. For example; recorded on a CD or other recording media including a computer hard drive, Written, printed or in manuscript form.” However, it’s possible to lose your own proof of ownership over the years. If sometime in the future you happen to be listening to the radio, sitting in a cinema or watching a T.V advert and your creative work is being used, you can be sure you will be entitled to receive royalties. What better way to provide undeniable proof the creative work belongs to you, then having an independent witness back you up. So if you feel and believe your work may have a commercial value, now or in the future, then it is important you take appropriate steps to protect it by ensuring rightful ownership has been documented and all rights and credits have been attributed to you, the copyright owner. Should you ever fall into a dispute, or find your creative works used by others, you can use your copyright registration with songrite to prove the date you created the work and your copyright ownership of the work. Can Anyone Use SCO to Apply for copyright registration of songs, music, and lyrics? Yes, they can, authors, songwriters and composers anywhere in the world who wish to register the copyrights of their work and ownership, all you need to do is register to be a member, it’s free to do so… You can also use a postal service if you wish without signing up as a member. However, you will need to print and complete the appropriate registration CR3a, CR3-m- or CR3X — CR3 Forms found on their website. You will need to make sure your work is fixed in a tangible form. Example; CD, Sound recording, manuscript, Lyric sheets, etc. Only send copies, keep all original masters for your own records. Package everything up and send it in a sealed package to the address found on the forms. Are There Any Complaints About Songrite? None that I can find, They are also connected to global copyright office and appear on their website. They seem to be an internationally respected copyright registration service. You may also want to take a look at http://www.copyright.com/ for USA readers, however, copyright is globally recognized throughout the world. How Much Does It Cost To Use Songrite Copyright Office? I believe that it’s in anyone’s interests to secure their very best work, by way of third parties means. If you are working towards a lifetime career in the music industry, then you should be considering how you are going to protect your best creative works. It can get expensive to use a service like Songrite to register everything you do. However, to get a payment of royalties for your best work and prove ownership, Songrite could be a good use. At some point in the future, you may come across your work and want to get paid for your creative’s being used by others for commercial gain. It may be a musical riff. Melody or full music scores you composed. Someone may have sampled part of a song you wrote. You may have collaborated on a project with others that some label re-released, and you have not been credited. Having your own proof of ownership + a third party witness backing you up could make all the difference on getting paid or not. However, they do not collect royalties for you that down to you the individual to have in place a registration to a global or local company or legal body to collect those for you on your behalf. 1. It’s fast and efficient if you register to use the service online. Alternatively, you can use snail mail. 2. There are no more costs involved, once your work is registered. 3. All songwriters and composers who register their works with The Songrite Copyright Office are issued with a unique and detailed copyright certificate plus an Author’s Secure Storage Contract for added protection. 4. Certificate or certificates can be used to scare the pants off others who would take your work and use it in a commercial way for their own creative product. 1. Can be expensive if you use it to copyright all of your creative works. 2. You don’t need to copyright your work with Songrite or any other body to prove your copyright ownership if you keep drafts and hard copies of your work safe, quote ” Copyright exists the moment a piece of music; a song or lyric is committed to any form of tangible media” so you could spend money registering works for no reason, other than peace of mind.